Quorum Analytics, an Esri startup partner, has developed tracking software that it employs in conjunction with GIS to make gleaning political influence a lot easier. 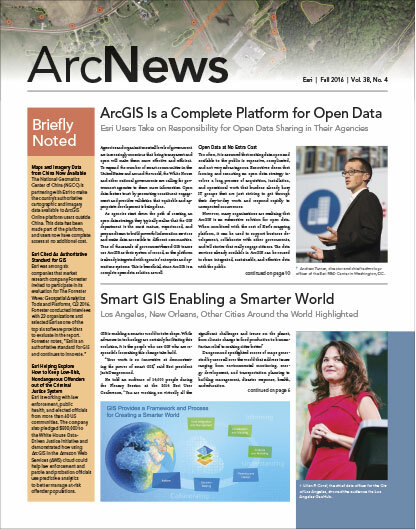 Although the company began its business using another mapping software, it switched to Esri after a year and a half to gain access to better geographic datasets, as well as a market of organizations that already store geographic data. Now, with Quorum’s online and mobile apps, lawmakers (and their staffs) can seek out senators and representatives who will support their issues, cosponsor legislation, and help get bills passed. The technology also extends this ability to trade associations, government agencies, nonprofits, startups, lobby shops, and Fortune 500 companies. Traditionally, legislative targeting has relied on advocacy professionals’ intuition and experience to identify targets. Quorum’s platform reinvents this process by enabling users to consider various quantitative factors such as committee and caucus membership, legislative activity, votes, mentions of key subjects in press releases and on social media, and demographics. Through Quorum’s web and mobile apps, users can track legislation and dialog in Washington, DC, and all 50 states and leverage these quantitative analytics to identify potential champions for a cause. Users get access to three main types of datasets at the federal, state, and local levels: legislative data, including bills, votes, committees, and hearing schedules; public remarks, including press releases, Tweets, Facebook posts, floor statements, and emails to constituents; and contact information for legislators, staffers, and executives. Users can then leverage their preexisting geographic datasets—along with the expansive demographic datasets hosted in ArcGIS—to view Quorum’s legislative data and analytics in map form. The software employs the ArcGIS REST API for the GeoEnrichment service, which makes it easy for Quorum users to layer in extensive demographic statistics—such as age, race, industry, and consumer preferences—about each lawmaker’s constituents. With this, users can visualize a proposed policy’s effects on various districts and identify legislative targets. Once users have identified their targets, they can use Quorum to generate comprehensive profiles that help demonstrate the value of their advocacy issues to lawmakers. Even without technical knowledge, users can directly import geographic data from ArcGIS and visualize it in Quorum’s platform. This helped a major nonprofit recently identify lawmakers whose jurisdictions would be most affected by legislation aimed at curbing child poverty. Its employees used Esri’s demographic data to rank districts by different child poverty statistics—such as the percentage of people below the poverty line who are under age 18 and the percentage of households below the poverty line that have at least one child under age five—and compared that to Quorum’s trove of legislative data. Using Quorum’s targeting tools, it took the nonprofit hours rather than days to come up with a list of lawmakers who would most likely support a bill on the issue. From there, the nonprofit convinced several lawmakers, who previously had been unaware of the extent of child poverty in their districts, to cosponsor a bill. Quorum’s simple interface also helped a Fortune 500 company in the retail space visualize its consumer and economic impact in various regions. After running the analytics, the company could see how many people it employed in each state and district, where each of its facilities was located, its total charitable donations, and how much the company was contributing to the economy. The company then used Quorum to distribute this information to its public relations employees and contractors in all 50 states, providing them with an unprecedented level of insight into their company’s economic influence. This geographically driven insight is available through Quorum’s mobile app as well, so users can show their data to anyone at meetings or political events. And the ability to generate professionally designed PDFs makes it easy to leave printouts with interested parties when meetings conclude.